Happy new year, readers! 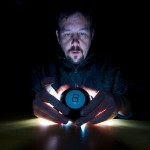 Like last year, I’m kicking off the start of 2011 with more fearless predictions from my old friend, the magic 8 ball. 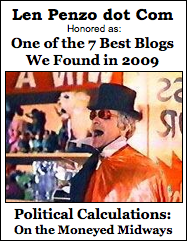 In case you missed it, my magic 8 ball ended 2010 with an astounding 70 percent success rate. Let’s see your Ouija board try to top that! With such terrific results, we’ve got a lot of questions this year from readers eager to get an accurate glimpse into the future, so let’s get right to it, shall we? Q: Will the government allow married couples to double their deductions across the board and double the income levels for tax rates? Q: Will I win the World Series Of Poker? Uh oh. The ball calls them as he sees them. Perhaps it’s not too late to get your $10,000 entrance fee back, Sam. Q: Will the number of new foreclosure filings in 2011 increase over those filed in 2010? Huh? Hey 8 Ball, while that is good news for Financial Uproar, do you really think it’s possible for the housing economy to recover in 2011 despite your predicted increase in the number of foreclosure filings? Okay; do you really think it’s possible for the housing economy to recover in 2011 despite your predicted increase in the number of foreclosure filings? A: My reply is no. So should I throw this question out? Do you realize you’re repeating yourself now? 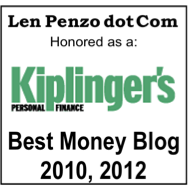 Q: Will Congress address mortgage fraud in 2011? Okay. If you plan on committing mortgage fraud in 2011 you better do it now, before Congress finally does something about it. Q: Will 2011 be a bull market year? Q: Will the Dow break 13,000? A: Reply hazy — try again. You heard the question, Ball: Dow. 13,000? Okay! It looks like the ball thinks the economy will be on a real roll in 2011; I guess the extension of the Bush tax cuts will cheer the market. Q: Will the Leonardo DiCaprio film Inception win five or more Oscars in 2011? Hmm. I’m more than just a bit shocked with that answer, 8 Ball. After all, Inception was on a lot of people’s lists as the best movie of 2010. Aren’t you a big fan of Leonardo DiCaprio? A: It is decidedly so. So can I then assume that the plot was too confusing for you? Fair enough. That whole plot-within-a-plot-within-a-plot thing really was a bit distracting. We’ll see if you’re right. Q: Will the national unemployment rate fall below 9 percent in 2011? Q: Will the national unemployment rate fall below 8.5 percent? Q: Will the San Diego Padres have a winning season? Crap. As a die-hard fan of the Los Angeles Dodgers, that is not very good news. Q: Will the average price of gasoline in the US top $4 per gallon at any time during 2011? 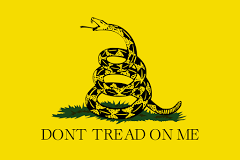 Q: Will Obamacare be stalled or altered by the House Republicans? What? Sheesh. Oh well, it looks like the 8 ball doesn’t want any part of that question for 2011. We’ll just have to wait and see, Dr. Dean. Q: Will the Euro still be around by December? Q: Will the dollar overtake the Euro in value? Interesting. If we are to believe the 8 ball, it looks like now is not the time to be shorting the euro. I think I agree that the demise of the euro is not around the corner. However, I think mounting debt woes in Europe are going to drag the Euro down in 2011 to near-parity with the dollar. We’ll see who is eventually right. Q: Will gold break $1,600 per ounce? Q: Will the ten-year Treasury yield go above 4.0 percent? Reading between the lines, it looks like the 8 ball is predicting higher inflation for 2011. I agree. Q: Will Jennifer Aniston announce yet another marriage engagement this year? I know I wouldn’t be surprised. The only question is to whom? Q: Will energy efficient products continue to receive tax credits in 2011? That’s too bad, 8 Ball, because Congress extended into 2011 a modified version of the 2010 tax credit for energy efficient appliances at the end of December. Talk about a big swing and a miss! Jenna tossed you a big fat softball and you blew it. Q: Will consumer savings rates drop back down to anemic levels in 2011? Q: Will New York or California go bankrupt in 2011? 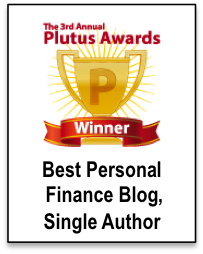 Q: Will financial literacy ever be required to qualify for a government-backed student loan? Q: Will student loans be the subject of the next bailout? Which begs the question, 8 Ball, just who are your sources? Alright. Remind me when we get back together at the end of the year to see how you did with all these predictions. Q: Will Sarah I-Couldn’t-Finish-My-One-Term-As-A-Governor Palin run for President? I think you’re dead wrong on this one, 8 Ball. Say, do you think Sandy might decide to send a little money to the Palin campaign if you’re prediction ultimately falls flat? 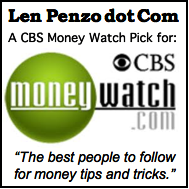 Will Len’s column be featured in the Wall Street Journal or NY Times? 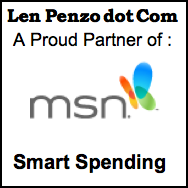 Will Len modify the Tweet This url shortener that splits the destination url into both Amazon and his webpage. Maybe the 8-Ball is afraid of retaliation by the Feds. Witness protection may be in order. If you need to ship it to an undisclosed location, let me know. @Coach: Regarding your first question, I sincerely doubt it. Thanks for pointing out the Amazon link issue… When I updated the plugin, it defaulted to the Amazon ad option — which I have since shut off. @Dr.Dean: LOL Thanks for the offer! If I decide to ship off 8 Ball, I’ll send you an encrypted transmission with all the details. Very entertaining! To think it was 70% accurate last year is a little scary. Maybe I should get one, it may improve my odds. Nah! I think I will do better on my own. Thanks for the shout out, link and answer! Magic 8 Ball better step up his game for next year! 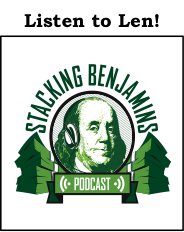 Hi Len: Thanks for asking the 8 Ball about financial literacy becoming a requirement someday for getting a government student loan. Do you think the “yes” reply means we’ll have fewer lawyers and doctors and more plumbers and hair stylists in the future? And you got 70% right last year!? Amazing! Can’t wait to see in this year will be that successful again. LOL. Let’s see what happens! @Krantcents: Time will tell. Maybe we should compare your predictions with the 8 balls? @Jenna: You’re welcome! But 70% is going to be tough to top this year. I hope Congress does address mortgage fraud, and in fact, the government starts to take the crimes committed by bankers seriously. When I watched the documentary “Inside Job,” the writer pointed out that thousands of people went to jail for contributing to the Savings and Loan crisis. For this last crisis, we’ve only seen a handful of prosecutions.